NEW YORK, Sept. 6, 2017 — In the aftermath of Hurricane Harvey and as Hurricane Irma bears down on the Caribbean and Florida, TravelInsurance.com has seen a significant rise in traffic to the site, as travelers seek out ways to protect their investments. With the 2017 Atlantic Hurricane Season only half-way through, the threat of future storms wreaking havoc on travel plans remains high. 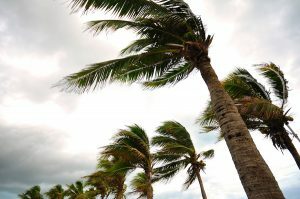 TravelInsurance.com offers essential tips for travelers affected by the current storms and for those planning trips through the end of the Atlantic Hurricane Season. Additionally, many plans offer coverage for trip delays or missed connections due to severe weather. TravelInsurance.com recommends travelers contact their travel insurance provider to confirm the coverage available to them. For travelers planning trips for September through November to the Caribbean, Mexico, or Florida, TravelInsurance.com urges consumers to purchase a travel insurance plan to protect their investments against future storms. Once a storm is named, travel insurance can no longer be purchased to cover that storm. The only available coverage after a hurricane has been named is a Cancel For Any Reason (CFAR) upgrade, which allows the insured to cancel their trip for any reason but only receive up to 75% reimbursement. CFAR is typically only available as an option if the traveler insures 100% of their pre-paid and non-refundable trip costs and purchases the policy within a set number of days (usually 14-30) of their initial trip payment date. This is why it is imperative to purchase travel insurance early if you are heading to a destination that is susceptible to hurricanes. If you have travel insurance, check your policy. A common reason for trip cancellation and trip interruption coverage is an evacuation at your destination. Caribbean or Florida-bound travelers or those already there with a travel insurance plan should contact their travel insurance provider to confirm their coverage. If you don’t have travel insurance, purchase travel insurance now. For travelers with trips planned this fall, it’s even more important to purchase a plan today to protect against the next named storm. Remember the Atlantic Hurricane Season runs through the end of November, and as we reported in June, the National Weather Service predicted a heavier than normal hurricane season.